Comment: Very cool effort by Twitter which will allow targeted distribution of information during disasters and emergencies. 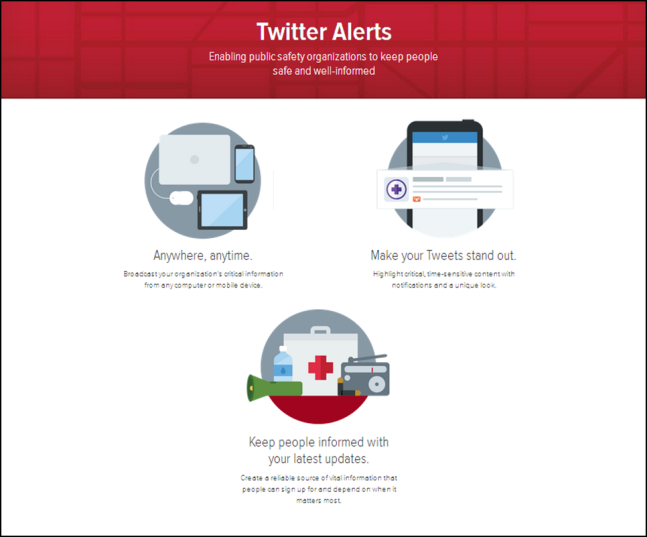 Unfortunately, so far only a limited number of organizations in 17 states and territories have committed to using Twitter Alerts. And, an important related issue will always be getting Emergency Services Sector (ESS) organizations to understand effective use of Twitter includes being able to use tweets from the "crowd" to help develop situational awareness. See: Trending: Social Media Use During Disasters, for more on this issue.